Are you looking for a 4G LTE Android smartphone that’s unlocked and can be used in any GSM network? You could choose the popular models from Samsung and LG however the price would be around $500 or more since it won’t be network subsidized. A better solution is to get a model from a reputable company that sells Android smartphones at a much lower cost. InfoSonics, a company based in San Diego, has just released its first 4G LTE smartphone called the verykool SL5000 Quantum. While the name might not be familiar to some of you this isn’t the first time that the company has released a device. In fact, if you check their website, you will see various mobile devices that the company has already released. I was able to get a unit of the SL5000 Quantum and immediately took it out for a spin. Below are my impressions of the device. Opening the box you will get the unit itself, battery, in-ear headphones, USB cord, wall charger, screen protector, and the manual. I suggest applying the screen protector as soon as you open the box so that you won’t have a problem cleaning the dirt on the display if you apply it at a later time. Since this is an unlocked device you can inset any GSM SIM on it. It would be better if you choose a network that can provide 4G LTE connectivity in your area so that you can take full advantage of this device. Depending on network conditions and limitations you should be able to get 150Mbps download speeds and upload speeds of 50 Mbps. Holding the device in your hand you will immediately notice that it has a solid build quality. There are no noticeable creaks when you hold it tightly. The middle part of the device is made of a metallic material while the front and back is made of plastic. One little gripe we have with its physical design is that the back part is glossy which means that it is a fingerprint magnet. Since this device is powered by a 1.2 GHz Quad-Core Snapdragon 400 processor combined with 1G of RAM it operates fluidly. There are no noticeable lags when you try to swipe through the different screens. With Android KitKat on-board you can take advantage of all of the latest apps in the Google Play Store. I’ve installed some of the latest games on this device such as Modern Combat and it played well. This device also got an AnTuTu rating of 17823 which is pretty decent for a mid-range device. Since first and foremost this is a phone then one of its important feature is its call quality. Calls made and received with this model are clear. I didn’t encounter any problems at all although this might depend on the network you will be using. For those who love taking photos you will be pleased to know that this model comes with an 8MP auto focus rear camera with LED flash and a 2MP front camera. Overall, I must say that the verykool SL5000 Quantum is one of the latest 4G LTE mobile phones available in the market that gives you the most bang for the buck. 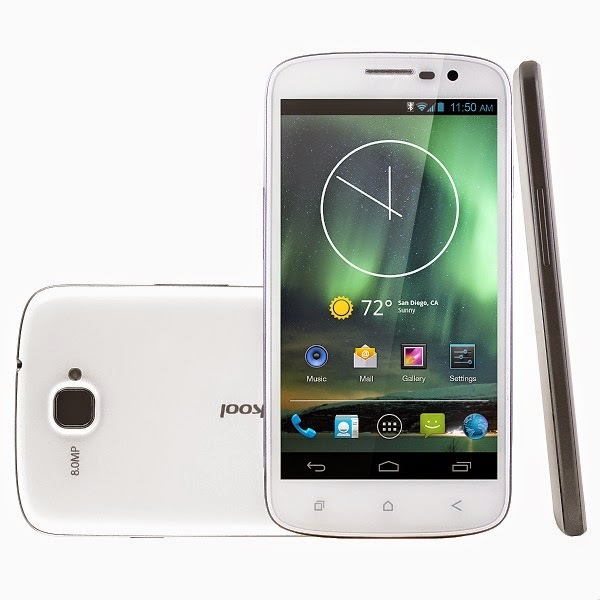 Check out this phone at the verykool website. Awesome!! I have a nexus 5 with similar specs but it cost at least 150 more than this phone. Might get one if my n5 craps out.